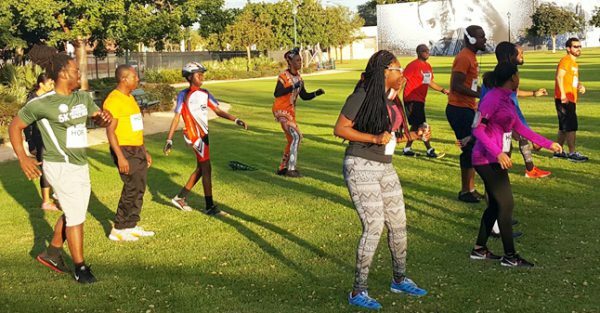 The Save Haiti Bike Ride event is getting bigger and better. This year, the event will start with a run – 12 Laps for Haiti. The run starts at 7AM on Saturday January 14th, at Jaco Pastorious Park in Oakland Park. The run is symbolic in remembrance of the January 12, 2010 earthquake. Better Public Schools, Political Stability, Better Infrastructure, Civic Engagement, Revival of Agriculture, Restavek, Sanitation, Haiti’s Sovereignty, Women’s Rights, STEM Education, Literacy, Gender Equality, Workers’ Rights, Better Healthcare, Girls Empowerment, Clean Water, Mentorship, Electricity, Access to Information and more. Health and Fitness Instructor/Race Director, Widlin Dieu-juste will warm up participants with a zumba session with music by DJ Francois. The top three runners (people who finish the race) will receive prizes. You can also do a “12/10 for Haiti” – That is; run 12 laps and bike 10 miles. There are also the “12/20 for Haiti” and “12/30 for Haiti’ to test your fitness level. Will you run, bike or do both? You tell us. 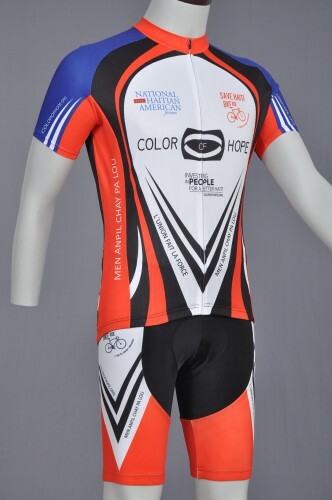 After the run, our bikers will take the road to raise awareness throughout the streets, with stops in Boca at Mizner, in Delray at Veteran Park, then we will join the public at Bryant Park in Lake Worth for the Finish Line Celebration with live performances by Zeal Dubreus, Darly Dieujuste and others. DJ Tony will keep the crowd on its feet. If you can run, run for Haiti, if you can bike, bike for Haiti, if you just want to have fun, join us at the finish line celebration and stand with Haiti. Join us as we promote a more active and healthy lifestyle. This run is free and open to all ages. Feel free to invite your family, friends and bring the kids. We provide different pace options to accommodate for all -participants. You will not be left behind. Teachers often go months without pay and face shortages in educational materials and supplies. Be part of the 100 people who help 100 teachers in Haiti with a contribution of a $100. After the hurricane many teachers find themselves in tougher conditions than before. The funds will help provide kits with materials/supplies they need and other form of support including professional development training. As a token of our appreciation, we’ll send you the “I Stand With Haiti” beautiful t-shirt. Add your name to the list of those who empower teachers to help improve education in Haiti. The People below stand with teachers in Haiti. Color of Hope is empowering individuals to help their home town in Haiti. This is part of the “I Stand With Haiti, an initiative to restore and sustain the lives of those affected by hurricane Matthew. See message below from Dr. Assade Luxin and Herold Figareau natives of Aquin who are raising support to help the town. A campaign to individuals who deeply care about people and the future of Haiti and are interested in raising funds to support and improve education as a way of creating a better future. Starting your own individual page will allow you a space to share your love for Haiti and your reasons for loving Haiti. Additionally, you provide a memorable, year round place for your friends and family to join and support the fight against illiteracy, poverty and hopelessness in Haiti. In a way, you are being part of history. If it’s not you, then who? If it’s not now, when? Make a contribution now or click on fundraise to join the campaign and help provide quality education programs, access to technology and more to the Haiti You Love. To provide access to modern day tools to communities. To provide initiatives gear towards improving the mindset. Throughout the year Color of Hope supports schools, students, teachers and parents with different initiatives, however the back to school drive is one that has proven to be crucial for a successful academic year. Many parents struggled to come up with tuition fees and uniforms which means there is no money for school supplies. While some schools will not allow children to attend without adequate school supplies, many children will attend school without the basics (backpack, notebooks, pens, pencils etc…) One of the students we helped was threatened to be sent back home because he did not have socks. This year with the support of Waste Management, One Love-One Community and LESS Institute, we were able to help more children to start the school year properly equipped. Knowing the importance of education in building a better Haiti, we couldn’t be more grateful to all those who make what we do possible. Special thanks to: Mayor Triolo of the City of Lake Worth, Ellen Smith, Barbara Haider, Former State Rep. Mack Bernard, Lisa Turdo, Commissioner McVoy, Renel Coutelien, Alex Augustin and Mary Greydanus. The back to School Drive was filled with activities, including a movie viewing. “Providing those materials to students in Haiti is priceless” said Hope Ambassador Marli Lalanne. Click HERE to view more pictures from the event on our facebook page. Investing In People for a Better Haiti. The Save Haiti Bike Ride is a community ride to commemorate the strength of our community, raise awareness and to galvanize support for the people of Haiti following the devastating earthquake of January 12, 2010. Joining us for the ride will be; former State Representative Mack Bernard, Commissioner McVoy of Lake Worth, Commissioner Al Jacquet of Delray Beach, North Miami’s Mayor Smith Joseph, State Representative Kerner, Mayor Triolo of Lake Worth (who will present the Haitian Earthquake Memorial Proclamation during the closing ceremony), Major Joseph Bernadel and many other community organizations and leaders including Haitian-American Connections INC and long time activist and educator Mr. Salusa Basquin. The ride will follow a Sixty-five mile path through US 1 and West Dixie. At each stop, participants will celebrate with games, prizes and refreshments. Proceeds fund Color of Hope programs at the organization’s center in Haiti, which include providing digital literacy programs, teacher training, school supplies, access to technology and internet, mentoring, scholarships and special activities to enhance quality of life for the people. “Last year, more than 200 people of all ages joined us for this wonderful ride. 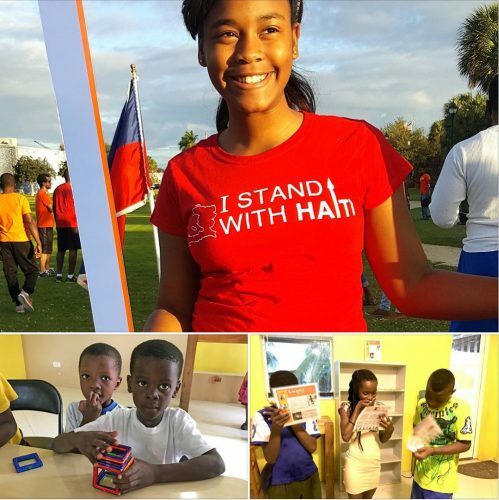 “This is more than just riding a bike, we are making a difference” said Hope Ambassador Portia Pierre, who traveled to Haiti last month to visit the center. “Please register to ride with us, or if you can’t make it, consider donating to help us provide access to education programs and 21st century skills to youth in Haiti” said Marli Lalanne Assistant Executive Director of Color of Hope. WPBR 96.1 FM, City of Lake Worth, Apostles’ Ministry, Toussaint L’ouverture High School, Lake Worth Sheriff’s Office, Delray Beach Waste Management, RC Caribbean Restaurant, Bernard and Auguste., P.A., Memorial High School of Millville, NJ. North Miami Police, Broward County Sheriff Office, Palm Beach Sheriff Office.